The final four weeks of the NFL regular season are usually fun, serving essentially as football’s version of musical chairs – there are always more teams vying for a seat in the playoffs than there are seats available. The trick is to be one of the lucky dozen when the games run out, rather than those left standing, facing the long offseason. 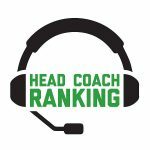 To be sure, we have interesting races to follow this month, with the AFC North title now up for grabs between Pittsburgh and Baltimore, the AFC West lead still a margin of just one game in Kansas City’s favor, the three-team scrum for the NFC East, and wild-card fights that are raging for the AFC’s No. 6 seed and both of the NFC’s bottom two slots. So enjoy the maneuvering and the pressure-packed battles that will decide those berths. But don’t lose track of what really matters: the four teams that nail down the top two seeds in each conference. With four games remaining, that’s currently Kansas City (10-2) and New England (9-3) in the AFC, and the Rams (11-1) and New Orleans (10-2) in the NFC. Sure, there are exceptions, but none lately. To wit: In the last five seasons (2013-2017), nine of the 10 Super Bowl qualifiers have been a No. 1 seed (90 percent). The only outlier, the star-crossed 2016 Falcons, were a second seed, and still made great use of the first-round bye. The 2016 Cowboys (13-3) were the only top seed to not maximize its advantage in the past five years. Stepping back a bit further, 12 of the past 18 Super Bowl teams (67 percent) have been a No. 1 seed, dating from 2009 on. In that same span, 15 of the 18 teams (83 percent) to reach the Super Bowl were either a No. 1 or No. 2 seed, having earned a first-round bye. The only exceptions to the top-seeds trend came in that three-year run where a pair of No. 4 seeds (the 2012 Ravens and 2011 Giants) and a No. 6 seed (the 2010 Packers) claimed the ultimate prize, wining the Super Bowl. • In the 28 seasons since the NFL expanded its playoff field to 12 teams in 1990, every Super Bowl has featured at least one team that earned a first-round bye and didn’t have to win more than two games to get there: 28 of 28. • Over that same span, the NFC has been represented in the Super Bowl by 16 No. 1 seeds and seven No. 2 seeds. That’s an 82 percent ratio (23 of 28) for one of the top two seeds reaching the Super Bowl. In the AFC, it’s 14 No. 1 seeds and seven No. 2 seeds, or 75 percent (21 of 28). Combined, 78.6 percent of the Super Bowl berths (44 of 56) have gone to one of the top two seeds from 1990-2017. Those are pretty good odds. * The two conferences from 1990 on have combined to send to the Super Bowl just two No. 3 seeds, seven No. 4 seeds, one No. 5 seed (the singular 2007 Giants) and two No. 6 seeds, for a total of 12 clubs that got to the big game the hard way. So it can be done, but it’s clearly not advisable and in the long-shot neighborhood. • What about before 1990? Once the NFL in 1975 stopped its bizarre practice of alternating the host site of conference or league championship games by divisions, there were 15 seasons (1975-89) the league operated with either an 8- or 10-team playoff field. In each of them, the Super Bowl featured at least one team that had either its conference’s best record, or second-best, mirroring the seeding era. That’s 43 seasons of data (1975-2017) that points out the obvious advantages of getting to the front of the line. So keep all that in mind as you watch the mad scramble for the playoffs unfold in the coming weeks. If there’s a Cinderella qualifier in the postseason to root for — maybe the Bears in the NFC or the Chargers in the AFC? — stay realistic with your expectations unless they happen to earn a first-round bye. Getting there is one thing; going all the way to Atlanta and Super Bowl LIII is another. 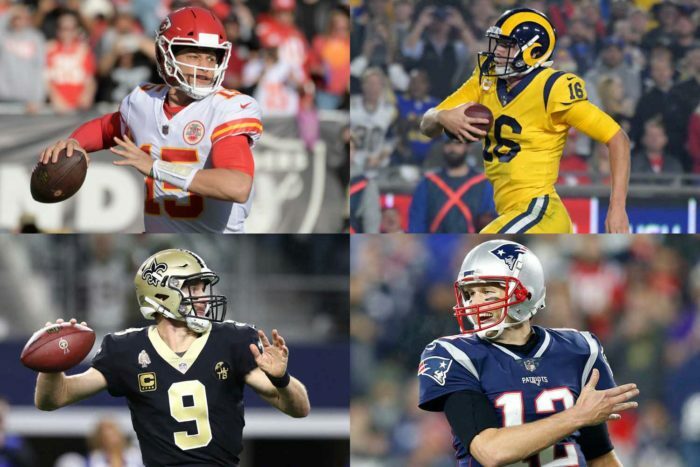 And if it turns out it’s the Chiefs, Patriots, Rams and Saints who sit out until the Divisional round, the chances are good we’ll know our four potential Super Bowl matchups before December even ends.